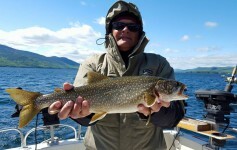 Note: LakeGeorge.com is not responsible for posts and comments written by non-staff members. 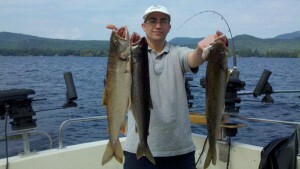 Previous Article Marathon Fishing on Lake George! Lake George Fishing 2016- Beat the Summer Crowds. Fish Now! 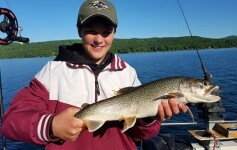 Lake George Fishing Report 2015- They’re biting ! Thanks Capt. 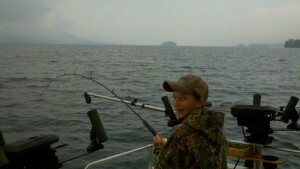 Justin for a great couple of days of fishing on the Highliner last week. it was the first time I’ve brought the guys in the office out out for a day of charter fishing. Thanks for helping us find a few trophies out there. see you next summer. Lake George Holiday fishing and boating fun. Emily on Here we go again! 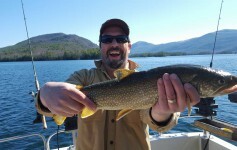 Captain Justin Mahoney owns Highliner Charter Fishing and Lake George Island Adventures and has been fishing Lake George, Saratoga Lake and the Adirondack waters for more than 25 years. 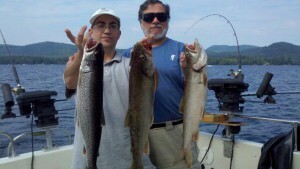 He is a full-time charter fishing guide providing sportfishing trips aboard the fishing charter the Highliner, and family outings and excursions on the Lake George Island Adventures pontoon boat serving Lake George and Saratoga Lake.